Update* Crowley Police have made an arrest in the mid-day robbery that occurred today at Iberia Bank. 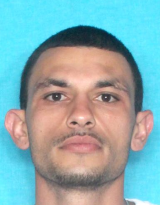 Chief of Police Jimmy Broussard said that Joshua Jenkins, age 30, of Church Point, was arrested by officers and Detectives with the Crowley Police Department this afternoon. The Acadia Parish Sheriff Department assisted in the initial and subsequent investigation. Jenkins was transported to the Acadia Parish Jail Facility under a $500,000 bond issued by District Judge Kristian Earles. Original Story* Right now Crowley Police are investigating a bank robbery at Iberia Bank in the 500 block of N Parkerson Ave. No word on injuries or suspects at this time. We will bring you updates when they are available.